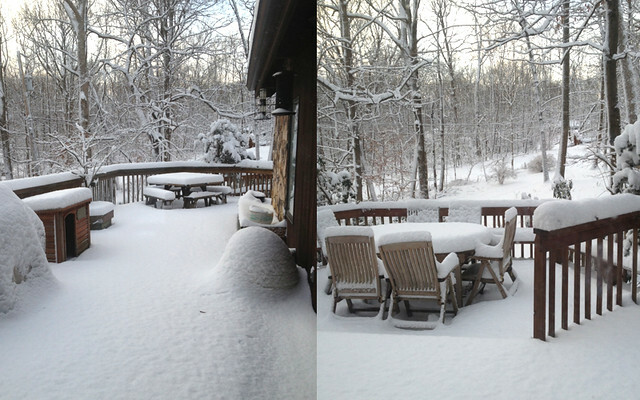 This is what I woke up to earlier today... lots and lots of snow! I have the day off since the bakery is closed today. Which is a good thing because there was no way my car could leave the garage this morning. (We spent two hours shoveling! After that, we're pretty much convinced we'd rather have a condo than a house one day... or at least a driveway that's much shorter than this one!) I'm looking forward to an afternoon of reading, snacking, and seeing an old friend from high school. Enjoy your Saturday, snow or not!